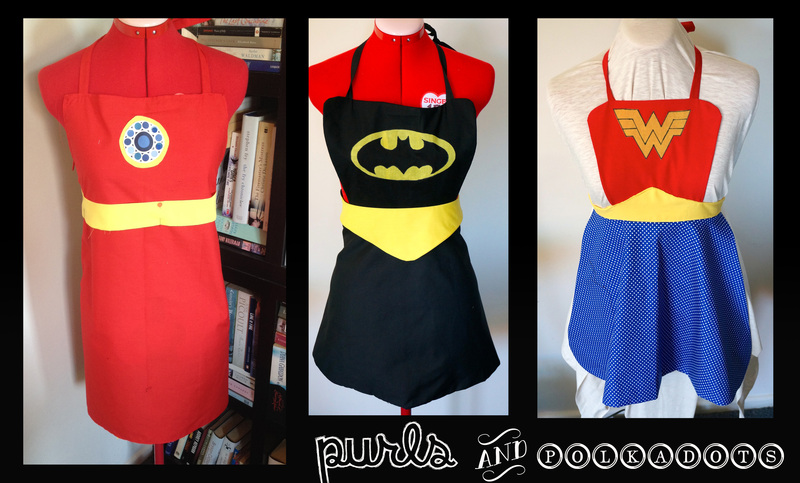 Carrying on with rather an apron-y theme, I have of late been making some (rather awesome in my opinion) superhero themed aprons. The first three I made for some friends of ours for Christmas. They received a family set of Ironman, Batman/girl and Wonder Woman.